RTs, many a Twitter profile inform us, do not equal endorsements. Neither, for the record, do Facebook friendships, nor Instagram likes, nor Pinterest pins, nor LinkedIn connections. But during political season, when an association can make or break a candidacy, some politicians fail to understand that. By now, it’s too late to provide a corrective for this campaign, but hopefully this can serve as a warning for future generations. Witness Rep. Matt Shea’s campaign against Josh Arritola in the 4th District. Shea has a lot of ways to tie Arritola to groups many conservatives despise — including Arritola publicly telling the nurses union he stands with them. (While he says he’s against Obamacare and for right-to-work, Arritola’s wife is a nurse, and he’s unapologetic for his support for them.) But Shea goes further than just pointing to donations, endorsements or campaign photographs: He goes to Facebook. 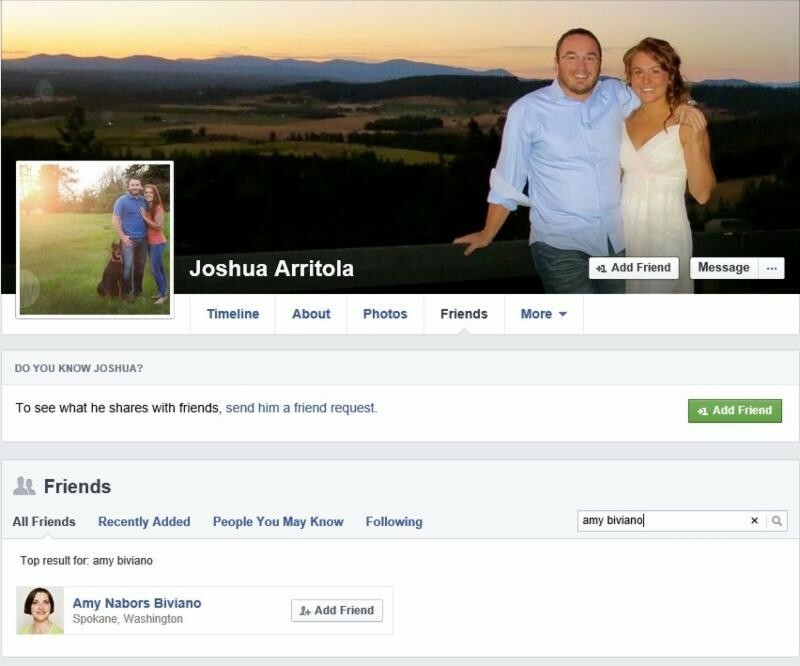 As evidence, he posts a screengrab of Arritola’s Facebook wall, where —J'accuse! — he’s Facebook friends with Amy Biviano, Shea's Democratic opponent two years ago. Because many Mainstream Republicans are pro-choice and pro-gay marriage, the site implies that Arritola’s Facebook like of this organization overrides his public statements against all abortion. The opposite problem can occur as well. Back in 2010, County Commissioner candidate Al French’s campaign ran into trouble with its interpretation of Facebook: French simply listed everyone who “liked” his campaign on Facebook as a supporter (though not an official endorser) on his campaign website. That including Roseanne Lasater, a woman who had a Bonnie Mager campaign sign in her yard. Even in December, after the election, and 50 days after she requested her name be removed from the list of supporters, her name remained as a French supporter on the website. It was only taken down after the Public Disclosure Commission opened an investigation into whether French violated the law by, “with actual malice,” falsely claiming the support of Lasater. More specifically, the PDC said it didn’t have a clear direction over whether campaign activity on the Internet counted as a “means of mass communication” subject to the state ordinances prohibiting false endorsements. In fact, one name of a non-supporter is still listed as a supporter on French’s website for this campaign: Local hummus maven Victor Azar, listed in Lasater’s PDC complaint. Azar says he isn’t voting for French or any other incumbent this year. He friended French on Facebook, he says, but it was strictly business. Informed that Azar wasn’t a supporter, French wrote it down on a legal pad, intending to remove his name from the list. “If there’s anybody that’s still on there that doesn’t want to be, let me know and I’ll take them off,” French says. Yet, to this day, Azar’s name is listed as a “supporter” on French’s campaign site. In the large scheme of things, these are minor issues. But it gets at a bigger conundrum of this hyper-public, social media-saturated age. "Like" doesn’t necessarily mean like. "Friend" doesn’t necessarily mean friend. Liking a Facebook status could mean you agree with the statement. But it also could mean you like the way it’s said, or you want to show support, or you have fat thumbs scrolling through a feed on your phone. Friending a person on Facebook could mean that you are their friend and supporter in real life. But it also could mean you are their acquaintance, that you’d like to date them, that you met once at a party, that you want to keep close track of their statements, that you find their social media presence funny or mockable. A local activist like Mariah McKay has 4,280 friends. Now, McKay is a pretty social person, but there’s no way she’s actually real-life friends with over 4,280 people. But for an activist, that's a pretty awesome tool to connect with all those people. I friend Matt Shea on Facebook, I friend Josh Arritola on Facebook. I join Facebook groups about East Valley school politics, Complete Street design, The American Conservative, and the Idaho Democratic Party, but not because I necessarily adopt or agree with any of those views. It’s because I want to follow these people, hear what they say, and hold them accountable. I accept almost any non-spam friend request, because I know extending my social network’s reach vastly increases the number of potential sources I can message without that message being dumped in the “Others” tab. Facebook chat has become a vital tool for a journalist: I was able to ask former councilwoman Nancy McLaughlin what she thought of Matt Shea while she was on vacation in Italy. That never would have worked if I'd avoided friending her because it would seem like an endorsement. Many of us already live in a media bubble, with very little exposure to other points of view. The last thing we should have to worry about is being seen as endorsing the entire point of view of every person we "friend" or "follow." Fortunately, there’s an easy solution to all of this: If you’re wondering what someone's “like,” retweet, Facebook friendship, or text message means, all you have to do is ask them. Thanks to Facebook and Twitter, that’s easier than ever. MONDAY MORNING PLACE KICKER: An ode to Connor Halliday, Zags suit up, replacement Seahawks win and the Boz!